Recommended For: Readers who are not complete Oz enthusiasts like myself. 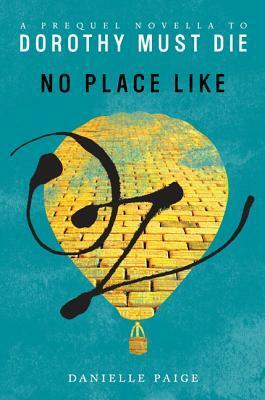 I picked up No Place Like Oz because I am a HUGE Wizard of Oz fan. I actually collect different editions of the novels as well as anything else Oz related. Perhaps that is why I had such a hard time with this novel, I wanted to get a glimpse of the world to see what Danielle Paige was working with and I don’t know how to feel about it. On one hand there were some aspects that were reminiscent of Baum’s Oz, and those parts I really loved, the imagery could have been taken directly out of the original novels. Unfortunately, there were so many aspects of the novel that had me rolling my eyes. I didn’t like Dorothy, and not in the “she’s the villain and we aren’t supposed to like her” way, but I found her incredibly annoying. Though the idea behind this series is a really great concept, I was not enthralled while reading. Instead I found that I just wanted it to be over, and it didn’t make me excited to read the upcoming novel at all. How disappointing. Recommended For: Those of you wondering if you should give the full novel, Monstrous Beauty, a chance. I found Men Who Wish to Drown to be filled with beautiful and captivating writing. It really was a novella that set a tone that was a perfect backdrop for the bittersweet story. The story itself stayed with me long after I finished reading and I was captivated by Elizabeth Fama’s haunting imagery. I had heard pretty mixed reviews of Monstrous Beauty. Many readers had said that it was THE “mermaid” book to read, but I had been so disappointed by mermaid books that I was too wary to pick it up. Then, I found the (free) companion novella and jumped on it immediately! 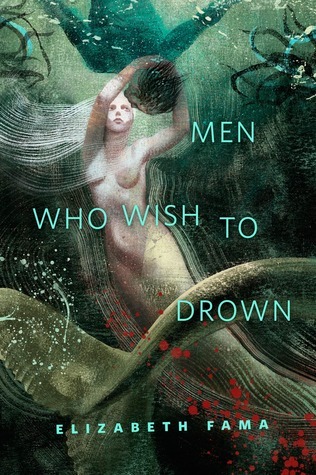 Men Who Wish to Drown was filled with beautiful writing and an interesting story. 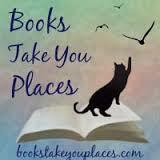 It did make me want to read the novel, though it didn’t light a fire under me to move it up on the TBR. This entry was posted in Retellings and tagged fantasy, mermaids, novellas, retelling, retellings, romance, short stories, Wizard of Oz, young adult. Bookmark the permalink.